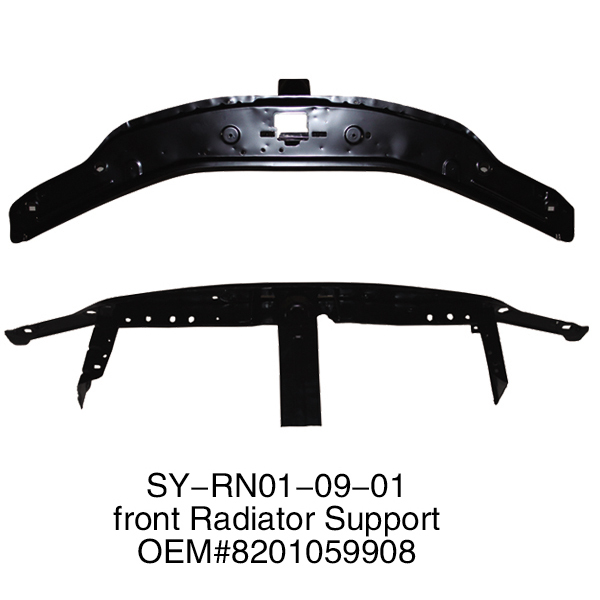 It is the front radiator support for RENAULT/DACIA LOGAN 2004-2013.the front radiator use steel as a raw material.this product`s OEM NO. is 8201059908. we can offer you high-quality and low price.our products have passed ISO9001 certification.our products have passed ISO9001 certification.In the industry of producing and selling car body metal parts,we are the champion company in china.We have the power to assure you our car body metal parts have good quality and cheap price because we have two advanced and big factories.RENAULT and pick up is the main car brands our metal parts used for,but besides these we sell many Automobile Sheet Metal Parts used for other brands.JUNCHENG AUTO always believe that good quality is first and cheap price is second.In the end ,we promise to return our products if there is any questions about our products.if you want to know more details about our products please connect us. Looking for ideal Body Part for RENAULT Manufacturer & supplier ? We have a wide selection at great prices to help you get creative. All the Body Metal Part for Renault are quality guaranteed. We are China Origin Factory of Used for Renault/DACIA Logan 2004-2012. If you have any question, please feel free to contact us.